Our heart beats for the economic and digital progress of our customers. Through our services, we offer solutions that increase your effectiveness and efficiency. We see ourselves as a compact unit that can achieve results quickly and easily so you can concentrate on your core business. Time is the most valuable asset for our customers and for us. We have gained our expertise in over 12 years in national as well as international projects. 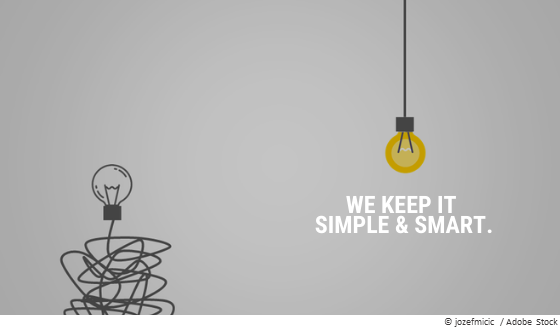 In our daily work, we always remain true to our guiding principle "We keep it simple & smart". We see digitization and disruption as an opportunity that contributes to the optimization of existing processes and creates exciting new fields of activity. In addition, it is no contradiction for us to preserve tried-and-tested and at the same time pursue innovative paths. Unlock your full potential with us! We will not hesitate to take time for your concerns, questions and will react with advices. Then we start with the analysis/research and create a tailor-made, targeted offer. 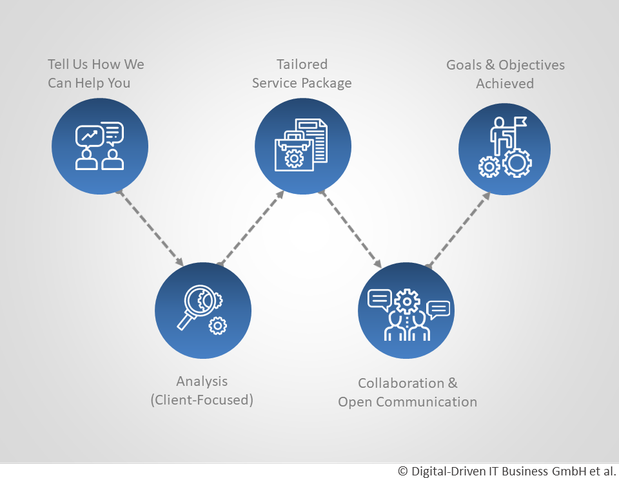 Our focus is on customer-oriented solutions that we implement intelligently ("smart"). Our goal is to create a clear added value for our customers through our services. The satisfactory of our customers will reflect on us too. As a basis for good cooperation, we rely on open communication and close collaboration with our customers and partners. Fair contractual conditions and customer-oriented working method are a matter of course for us. We are available to our customers by phone, e-mail, instant messaging and video conferencing.